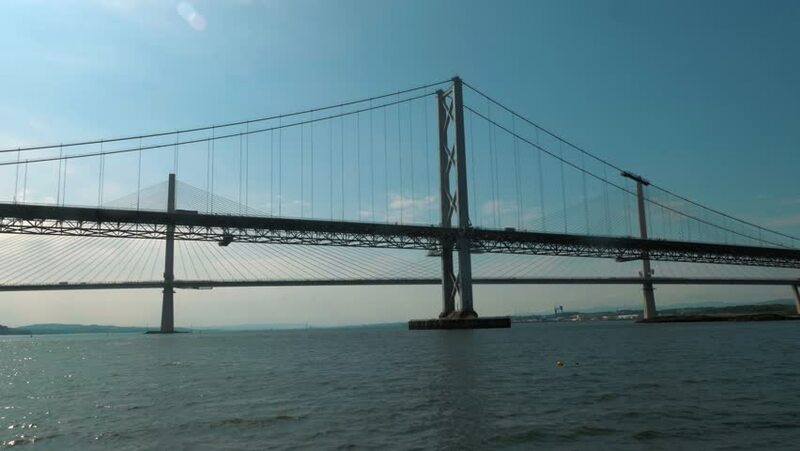 A slow-motion video of the view of the Forth Road Bridge in Edinburgh, on a sunny day. sd00:15View of the Missouri River under overcast sky. The Paseo suspension bridge crosses the river in the distance in Kansas City, Missouri.